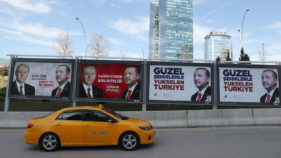 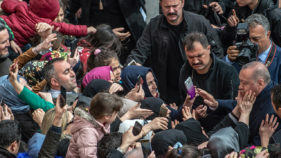 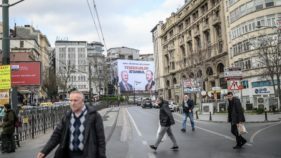 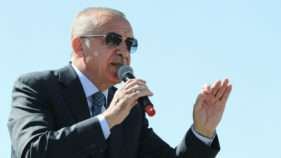 Turkish President Recep Tayyip Erdogan's ruling party said Tuesday it wants the Istanbul mayoral election to be repeated after the Supreme Electoral Council rejected a demand for a recount of all ballots cast in the city. 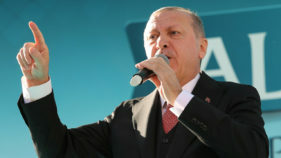 Turkish electoral authorities on Wednesday began recounting votes from Istanbul districts after President Recep Tayyip Erdogan's ruling AKP challenged tallies showing an opposition candidate narrowly won a weekend local election. 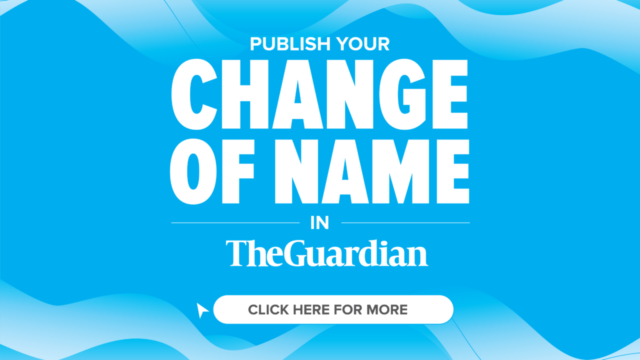 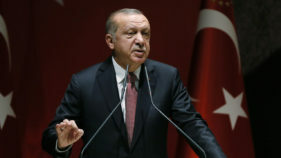 Turkish President Recep Tayyip Erdogan on Sunday mooted the possibility of renaming Istanbul's Hagia Sofia museum as a mosque, in comments during a television interview. 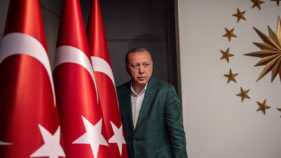 Turkey's economy fell into its first recession in a decade, official data showed on Monday, just weeks before President Recep Tayyip Erdogan's government faces local elections when growth and inflation will be key issues for voters. 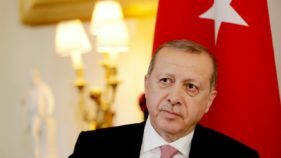 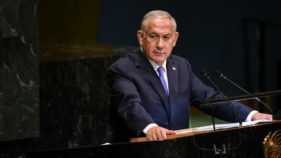 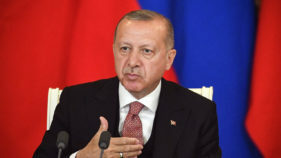 Turkish President Recep Tayyip Erdogan on Tuesday lambasted the EU after the bloc held a summit with Arab leaders in Egypt despite Cairo's execution of nine men last week.